Director: Jen McGowanWriters: Julie Lipson, Stu PollardStars: Hermione Corfield, Denise Dal Vera, Jeremy GlazerSummary: An overachieving college student gets lost on her way to a job interview. 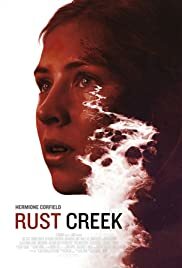 A wrong turn leaves her stranded deep in the Kentucky forest. The woman must defend herself against the harsh elements and a band of ruthless outlaws. She is forced into an uneasy alliance with a strange loner who has unknown intentions.